They call it a "Vocal-Designer". Interesting, I thought to myself while unpacking the TC Helicon VoiceLive Touch 2 from its box. As the name implies TC-Helicon has released a new version of its innovative 'Touch' series which builds upon the original Voice Live Touch. I'll be upfront and say that I never had the opportunity to try out the original Voice Live Touch so this review will strictly be based on my experience with the new unit: the TC Helicon VoiceLive Touch 2. Gone are the colorful touch pads and diminutive LED screen. Instead, the Touch 2 is more serious wrapped in subdued grey with a much more usable LCD screen. Being this is a very menu driven device I imagine this is a welcome change to the original Touch users. This product can be purchased at The Vocal Gear Store. As with all TC-Helicon gear, the build quality of the TC Helicon VoiceLive Touch 2 makes it feel like every bit of its $500 street value. There are no manual knobs and buttons on the Touch 2. Instead, every control aside from a mic gain knob is a touch pad. It's an interesting design concept that is going to work for some but may be troublesome for others. The layout is generally straightforward and once you get a hold of the basics of how to drive into settings, the TC Helicon VoiceLive Touch 2 is fairly intuitive. I wish TC Helicon had given thought to backlighting their pads as I can see having issues in a dark club environment finding the right pad to hit, especially if you prefer as I do to not stand mount it. As a workaround, I highly recommend using their 3 button foot control available for purchase separately. TC Helicon touts the VL2 as giving singers "unprecedented creative control of their live sound with state-of-the-art vocal effects and performance looping in an intuitive touch layout." This I agree with. The TC Helicon VoiceLive Touch 2 packs an enormous catalog of preset effects to get you started sorted by genre such as Rock, Pop, Alternative etc. that mock the vocal effects used on a large v ariety of hit socks. If that isn't enough they are continually updating the catalog that is downloadable directly to the VLT2's using VoiceLive support. The TC Helicon VoiceLive Touch 2 is pretty much ready to go out of the box. Built in is TC's fabulous adaptive tone which automagically applies adaptive EQ, compression and de-ess to your voice. It almost always sounds great and it certainly does on the Touch 2. Every effect is just about infinitely customizable on the Touch 2 including all the usual suspects of HardTune, tap delay, reverb, harmony, doubling, choir, and transducer. However, I generally found myself starting with one of the built-in presets and then customizing it to fit my sound. One of the more interesting features added on the Touch 2 is an effects "slider" that allows you to a choc tweak with your sound as you go. TC has come a long ways with their harmony algorithms by syncing them up with instrument input to ensure they are always on point and realistic sounding. The Touch 2 adds to the flexility of this by incorporating 8 total voices (more than you'd likely every need) and what they call "RoomSense". If one doesn't have an instrument to plug into the VoiceLive, the two onboard microphones take it the chord structures based off what its hearing in the room to decide how to apply the harmonies. I would argue there's no replacement for real harmonies, but this comes so damn close that admittedly even I have started using them. Another key feature to point out is the 6 track TC VLOOP performance looper. This is where things can really get creative with the ability to record your vocals on the fly for up to 30 seconds. 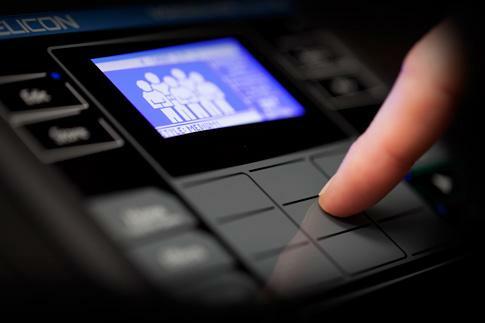 The Touch 2 is so intelligent that it will even quantize those for you for perfect loops. One you have your loops you than then add Reverse, Filter, Slow Speed, Squeeze and Squeeze Auto to really make things interesting. Overall I felt that the looper was well done and simple enough that it could be used in a live situation. 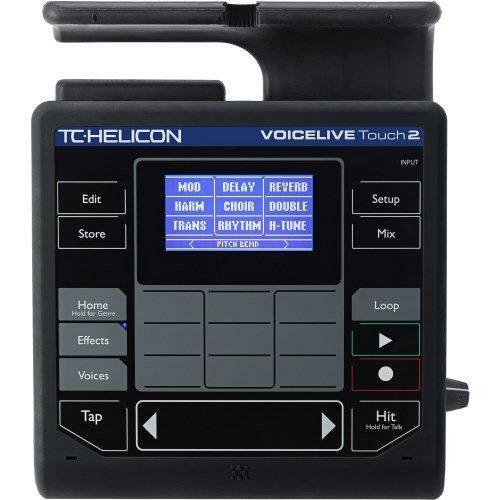 The TC Helicon VoiceLive Touch 2 is without question an extremely powerful tool. At the end of the day, it does however, cater itself slightly more towards the studio and solo artist than it does to more of a rocker like myself. I felt the menu-driven design and touch interface left me spending more time in trial and error before finding a sound than I would have spent flipping a knob or hitting a switch on the Voice Tone series pedals. In my opinion, though, TC has found a niche within a niche market with the VLT2. If this looks like it might be your kinda thing I recommend you check it out.